Russell family, descendants from Charles M. Russell, and his sons "the 7 Russell Brothers." Owners and operators of the Russell & Company (1842-1950s). See other virtual galleries of the company. Massillon has a rich history of diversity. Read biographies of those who fought for equality, or led successful lives. This gallery also includes oral history interviews and documents. These stars of the stage and silent screen spent time in Massillon with family members between performances. 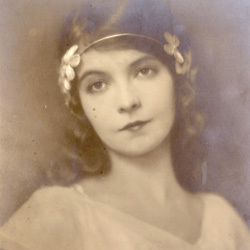 Lillian Gish befriended local photographer Nell Becker Dorr, who was her friend for life. The "Gish house" on historic Fourth Street was purchased by Lillian and Dorothy for their aunt. This exhibit follows Massillon native Robert Peet Skinner's journey to Abyssinia in 1903, with the goal of signing a trade treaty. Skinner was accompanied by fellow Massillonians Horatio Wales and Dr. Abraham Per Lee Pease. 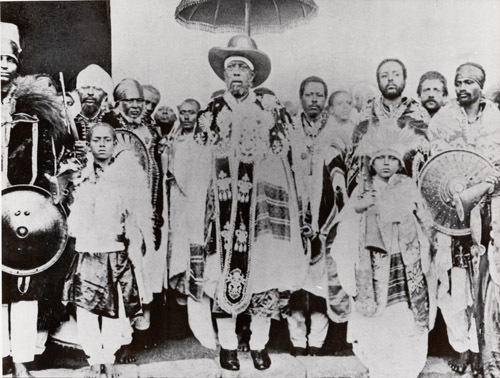 "The 1903 Skinner Mission: Images of Ethiopia in the Progressive Era" by Amanda Kay McVety, Journal of the Gilded Age and Progressive Era. Jacob Coxey had revolutionary ideas about currency and labor in his day. Coxey led the first protest march on Washington D.C. in 1894. This gallery shows photographs and materials related to that march. 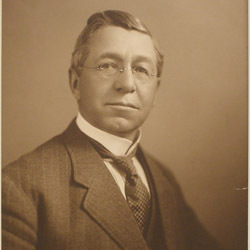 The Museum holds thousands of news clippings, pamphlets, letters, and family photographs from Coxey's political career and family. For more finding aids, pamphlets, and a documentary film, click here. Caroline McCullough was an energetic activist. 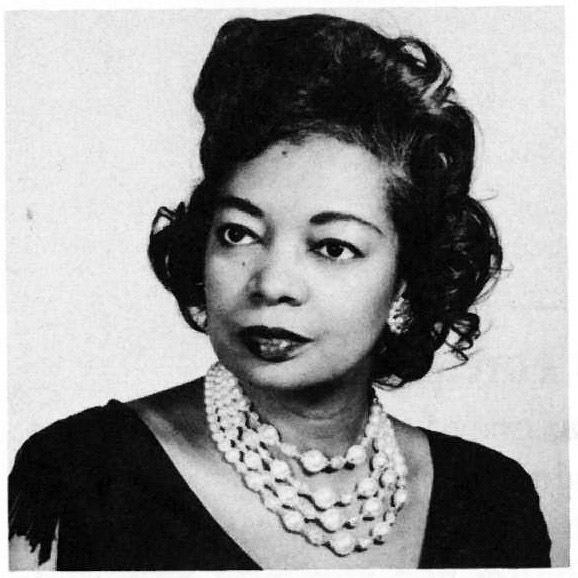 Highly respected for her public charitable works and her administrative ability, Everhard wrote for numerous literary journals, presided over the Charity School of Kendal board of trustees, helped found the Massillon Humane Society and the Massillon High School Alumnal Association, and helped organize and direct the McClymonds Public Library. In 1885, she became the first woman bank director in Ohio. Mrs. Everhard suffered the injustice of paying money into the city treasury while having no voice in making the laws controlling the community. 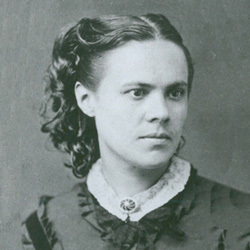 Her sense of injustice impelled her to organize and equal rights association for Massillon and Canton in the late 1880s. She served as president of the Ohio Suffrage Association, an office which she held for ten years. With help from her Canton friend, Governor William McKinley, Mrs. Everhard and her colleagues persuaded Ohio legislators in 1894 to allow females to vote on school issues and to elected to local school boards. The Poe family settled in this area for a time. 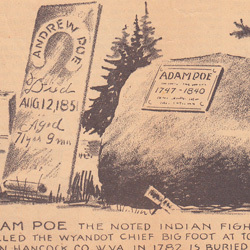 Adam Poe, best known for killing Chief Big Foot, is buried in Massillon Cemetery. The staff of the Massillon Museum completed research about two of its photography collections: photographs by Belle Johnson of Monroe City, Missouri and Henry Clay Fleming of Ravenswood, West Virginia. 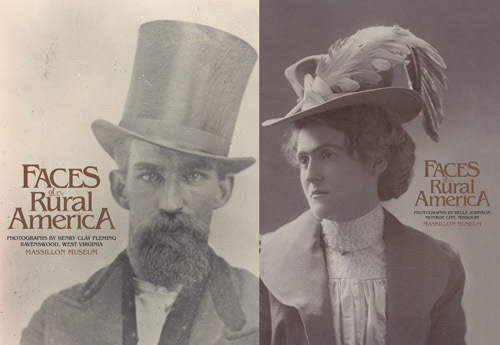 If you would like to see these two collections in their entirety, please visit our project site: Faces of Rural America website.